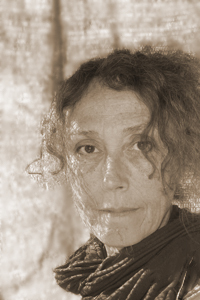 Terri Witek is the author of five collections of poetry: Exit Island (Orchises Press, 2012), The Shipwreck Dress (Orchises Press, 2008), Carnal World (Story Line Press, 2006), Fools and Crows (Orchises Press, 2003), and Courting Couples (Center for Book Arts, 2000), which won the Center for Book Arts’ 2000 Poetry Chapbook Competition. She is the author of one book of criticism, Robert Lowell and Life Studies: Revising the Self (University of Missouri Press, 1993). Since 2005, Witek has collaborated with Cyriaco Lopes, a Brazilian new media artist, on various projects which have appeared in galleries and other sites in New York City, Los Angeles, and elsewhere. Witek is the Art & Melissa Sullivan Chair in Creative Writing at Stetson University.